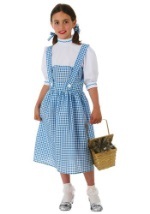 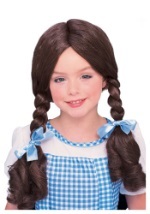 Instantly give Dorothy a makeover with this Dorothy Wizard of Oz girls costume! 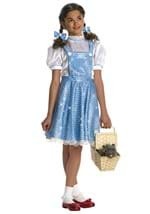 This girls Dorothy dress still features the classic blue and white gingham pattern for the dress, but is updated with red ribbon trim on the bodice and skirt, white lace accents on the white blouse, red bows on the sleeves and a large sequin covered red bow right in the center of the chest. 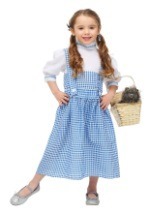 The dress has the appearance of a jumper worn over a white shirt but is actually all one piece. 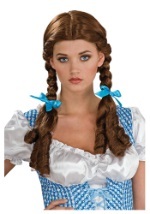 It zips in the back for easy wear. 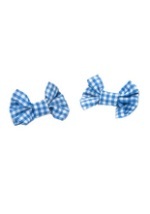 A pair of red ribbon hair ties are also included. 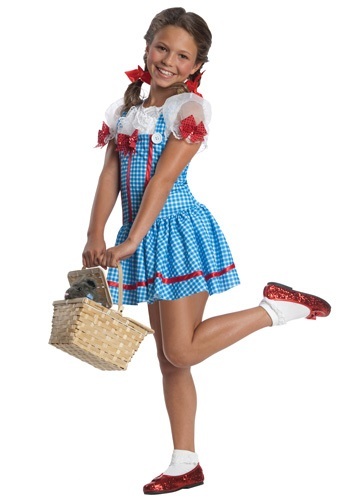 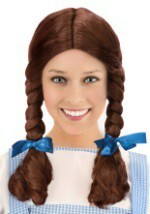 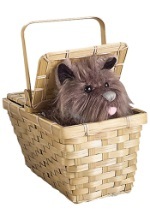 Accessorize this costume with a Toto in a basket accessory along with a pair of ruby slippers!